It’s time to wrap up another batch of rumours with this being the last list for the time being. Enjoy! Juniors seems to be the new name for the Bricks and More theme, aimed as a bridging range between Duplo and System. Thankfully the sets feature regular mini-figures rather than any strange aberrations. One troubling omission from this list is any brick buckets, hopefully this is just an oversight. The one last snippet to throw out there is that there will be seven Teenage Mutant Ninja Turtles set next year, and at least three will be based on the new movie. 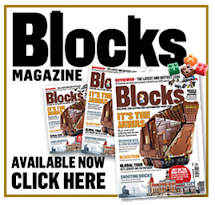 Thanks for following the 2014 Rumours at All About Bricks.